Judges of the American Association for the Advancement of Science (AAAS) 2017 Student Poster Competition selected a poster by MIT Joint Program research assistant Michael Davidson as the winner in the Social Sciences category. Davidson’s poster was one of 15 presented in that category at the AAAS Annual Meeting in Washington, D.C. in February. Winners receive a cash prize; their names and poster title printed in Science; a recognition certificate; and a year-long subscription to Science. 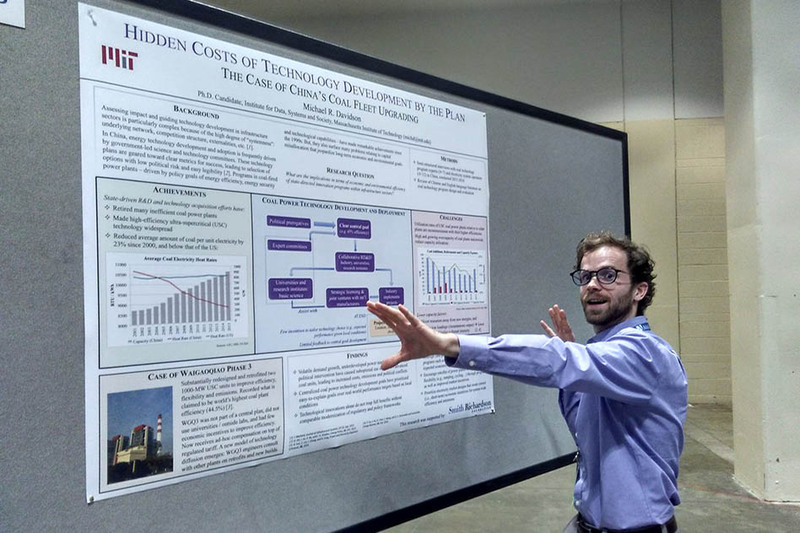 In his poster, “Hidden Costs of Technology Development by the Plan: Case of China's Coal Fleet Upgrading,“ Davidson, a PhD student in Engineering Systems at the MIT Institute for Data, Systems, and Society, argues that system performance inefficiencies result when centralized technology target-setting does not consider local system conditions. This research is part of a broader project on Policy, Regulation and Innovation in Chinese Industry supported by the Smith Richardson Foundation. Davidson maintains that while China's highly centralized technology development and deployment programs have led to massive reductions in deployment and manufacturing costs, they also produce inflexible, top-down and standardized technologies that can cause operational inefficiencies in electric power systems and other complex infrastructures. In China’s electric power system, these inefficiencies include overcapacity and a limited ability to exploit renewable energy sources. “Technological innovations alone do not reap full benefits without comparable modernization of regulatory and policy frameworks,” says Davidson. To effect such modernization in China’s coal technology programs, he recommends reengineering existing programs and introducing short-term price signals through electricity market reforms that incent better technology choice and more efficient systems operation. Read the poster abstract here.